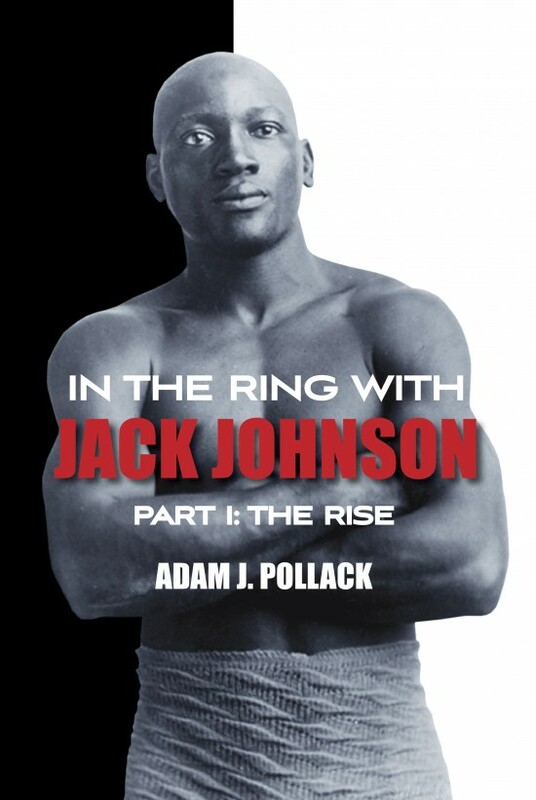 At 710 pages, In the Ring With Jack Johnson – Part I: The Rise is the most detailed and thorough book ever written on Jack Johnson. This book alone (the first of two on Johnson) covers the start of Jack Johnson’s career up to his winning the world heavyweight championship. It is chock-full of detailed descriptions of each bout from multiple local next-day primary sources. The book also contains plenty of context and background, details and perspectives about race from both white and black-owned newspapers, as well as approximately 225 rare photographs, cartoons, and advertisements. Boxing fans will obtain knowledge and insight into Jack Johnson’s life and career like never before. This is the seventh book in Adam J. Pollack’s series on the heavyweight champions of the gloved era, which include: John L. Sullivan: The Career of the First Gloved Heavyweight Champion, In the Ring With James J. Corbett, In the Ring With Bob Fitzsimmons, In the Ring With James J. Jeffries, In the Ring With Marvin Hart, and In the Ring With Tommy Burns. Adam J. Pollack is a boxing judge, referee, and coach, and member of the Boxing Writers Association of America. He is also an attorney practicing law in Iowa City, Iowa.